When Gandhi introduced the concept of Passive Resistance in his article on “The Benefits of Passive Resistance” on September 7 1907 he for sure did not understood how that concept would develop over the years. Gandhi was of course by no means the first to use neither the means nor a terminology for nonviolent actions but his development of both vocabulary and means made a great impact of the development fir the decades to come. For anyone who want to have short summery of the history of nonviolence and civil resistance I would propose the works by Randle (Randle 1994), Sharp (Sharp 1973) and Protest, Power, and Change (Powers, Vogele et al. 1997). The content as well as the context of organised use of nonviolent means in struggles has changed over time. In the article in Indian Opinion Gandhi used the example of Sinn Fein in Ireland as an example of a movement who are in the process of changing from violent to nonviolent means. 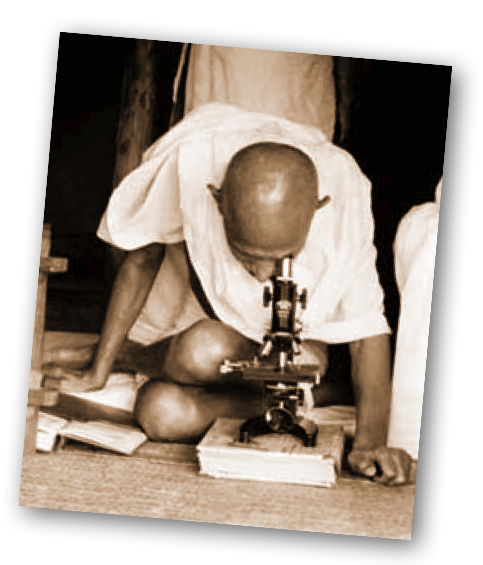 Gandhi’s struggle in South Africa was looking for sources of inspiration and he looked around for empirical cases to base his coming “experiments” on. Later we know that Gandhi ended using the concept of passive resistance due to the negative and misleading first part of it. To distance it from the notion of being passive he introduced satyagraha which is a combination of the two Sanskrit words truth and force. People like Martin Luther King often used militant nonviolence and nonviolent resistance. (Riches 1997) In most of these cases these concepts where used by activists in movements struggling for freedom, democracy and human rights. The movements using these means and concepts where mainly fighting against their own governments and for reforms in the states they where living. In the late sixties more and more people started to discuss the use of nonviolent means as alternatives or substitutes to militarism and national defence. These ideas was not new but came forward with new force and energy. Partly this was a reaction to the nuclear competition between east and west and to a certain extent a result of a growing movement of people who were engaged in modernising and expanding the tradition of nonviolent means. The use of nonviolent means can be found in many different contexts and situations still today. And the terminology differs from case to case, from country to country, from culture to culture. Civil resistance in British pacifist circles in the mid seventies means something else than resistencia civil in Colombia 2004. I will not go deeper into this here; just make the reader aware of the many different views on what is civil resistance? I will also try to avoid discussing civil resistance in a country-based or regional context. By discussing the conditions for civil resistance I want to present some general observations from different parts of the world. The intention is not to cover all possible aspects, but to focus on some I regard as important for a discussion on how to promote or develop these means further. Some of the points are more relevant for some parts of the world than others, but they still have some general implications. At the same time we can see a similar problem facing those who have been advocating nonviolent alternatives to the military defence. If there are no enemies, why do wee need a defence. Some of the early ones presenting early models of nonviolent alternatives are Roberts (Roberts 1965; Roberts 1967; Roberts 1969), Ebert (Ebert 1981), Galtung (Galtung 1959; Galtung 1975), King Hall and Boserup/Mack (Boserup and Mack 1974)The most prominent and “sustainable among the promoters of these alternatives are Gene Sharp. He has used the concept of Civilian-based Defence (CBD) and developed through a number of books the model as well as ideas about how and why to implement CBD (Sharp 1985; Sharp 1985; Sharp and Jenkins 1990). Even if argue that his model is very cost-effective (Sharp and Jenkins 1992) there is still a need for justification. Sharp have in periods been successful in promoting his ideas at state levels. Ministers of Defence in the Baltics and East Central Europe have shown interests but in the long run very little if anything have been implemented. Adam Roberts had similar experiences from Sweden in the seventies (Roberts 1972; Roberts 1976; Roberts and Gripstad 1976). At present the interests in national defence are down disregarding what means we discuss. This tendency is more obvious in Europe, but with some exceptions we have a global trend. So the interests in civil resistance, CBD and other forms of nonviolent national defence have bad conditions for the moment. Few are doing research on it and promoting these models. The contexts are perhaps just not right in most parts of world for the time being. The only exception I am aware of is Palestine. There are for the moment at least two relatively large scale projects aiming to promote a nonviolent intifada. And one of them is in the midst of practical training. The reason why these ideas are growing in the Middle East is probably a combination of a growing insight among Palestinians that Sharon are dependent on violent actions (suicide bombers) in order to justify the massive use of violence from the Israeli Defence Forces (IDF). Without “terrorist” the world would obviously react even stronger against the Israeli violence in this extreme asymmetric conflict. One of the most active groups in these projects is Middle East Nonviolence & Democracy (MEND). Looking around the world the last twenty-five years there are quite an impressive number of social/political movements which have been successful in the use of nonviolent means. Few of them use the term civil resistance themselves, but a number of those who are used to the terminology would recognise the movements as someone using civil resistance. What I in the following will call revolutionary movements have been remarkably successful since the end of the seventies. A few words about the terminology: By revolution I here mean an unconstitutional change of a regime from below. This definition excludes all changes where the constitutional rules have been followed as well as all forms of coups from elitist groups. The definition does not include any component of what will follow a regime-change or if those forces who carries out the revolution get what they want and expects. These conflicts are of course extremely complex. The numbers of factors influencing the outcome of them are very high. Some factors and actors are external others are internal. Some factors are necessary other not that important for the outcome. Probably are none of them are sufficient for a change to occur. The discussion of different factors and their importance is done by Grix in the book The Role of the masses in the collapse of the GDR (Grix 2000) and his analyses of the case of East Germany have a more general relevance for similar cases. The use of massive nonviolence is certainly one aspect which plays an important role in these cases, maybe that is the only factor which in some cases have been sufficient for a change in the regime to take place. But other issues which are important for revolutions to take place are economical conditions, international diplomacy, cultural heritage, religious factors, and the possibilities for different socio-political classes to join their forces. When it comes to academic studies these revolutionary movements are to some degree falling between two chairs. They are not in the focus of those studying revolutions and they are not takes seriously by those studying social movements. The first category has a tendency not only look into the cases dominated by violent means. Some even include the use of violence as a necessary criterion for being classified as a revolution. The others have focused on movements with less revolutionary goals. The new movements critical to the globalization of economy are typical cases for these studies. I will come back to these movements later. This is not the place to go into a complete list and in-depths analysis of these cases, but I want to mention a few cases to show where civil resistance has been successful in recent years. And this is also a field where I still see large possibilities for civil resistance in the years to come. In Iran 1979 the shah was forced to resign after a popular upraising. The year after the Solidarity movement in Poland started their struggle. Seven years later the communist regime collapsed and Lech Walesa was elected president. In 1982 the military dictatorship in Bolivia had to resign after a general strike and massive protests in many parts of the country. In Phillippines we saw the emergence of People Power when Corazon Aquino confronted president Marcos after an election where he used fraud to stay in power. In 1989 the Velvet Revolution in Czechoslovakia removed the communist regime and former Charta 77 activists formed a new government. The Berlin Wall fall and East Germany was for a short period an independent state. The “wave” of non-armed uprisings also included Hungary and Bulgaria. 1991 was the year when Soviet Union disintegrated into 16 new states. In the three Baltic states large scale popular movements used a number of different nonviolent techniques and strategies to gain their independence. South Africa got rid of the apartheid regime in 1993/94 after years of mainly nonviolent struggle. In 1998/99 Suharto had to give up his dictatorship in Indonesia after months of unarmed uprisings in the large cities. NATO did not achieved to remove Milosevic by massive bombing in 1999, but an massive protest on October the 5 in 2000 farced him out of power. The year after we witnessed one more peaceful revolution in the Philippines in what was called the “sms-revolution”. The name was given due to the use of short text messages on mobile phones in mobilising for demonstrations. In 2002 we saw an unarmed change of regime in Madagascar. And in November 2003 Georgia was the latest example of a change of regime after massive protests on the streets of Tbilisi. These cases can be classified as examples of civil resistance or may be even nonviolent revolutions. I don’t want to go too deep into classifications here, but it is not unfair to use the term civil resistance for these cases if we read the literature on nonviolence published the last forty years (Gregg and Temple 1960; Dellinger 1971; Merton and Zahn 1980; Muller 1981; Fahey and Armstrong 1987; Holmes 1990; Bleiker 1993; Sâemelin 1993; Ackerman and Kruegler 1994; Burrowes 1996; Ackerman and DuVall 2000; Randle 2002; Zinn 2002; Martin and Varney 2003). This is an impressive list of large scale cases where nonviolent means have been used to remove regimes. As mentioned earlier I does not go into the complex question of “what happened next”, but just constate that it is no doubt that the use of nonviolent means have been much more successful the last three decades than armed attempts to change regimes. Here it seems to be relatively good conditions for civil resistance. I cannot see any reason why not this wave of massive demonstrations will end in 2004. On the contrary I have witnessed a strong and growing interest in these cases, even among representatives of movements who up till now have been mainly using armed means in their struggle. There are high numbers of people out there who want to know more about how the cases mentioned above managed to remove the old system. Questions on how they organised? ; what sort of training and preparations? ; where to get more information on these cases? are very frequent when I have dialogs with people who are active in revolutionary movements around the world. I will also argue that these cases should be more actively used to promote nonviolence and civil resistance. There is no longer necessary to base all arguments of Gandhi and other cases from before WWII. Modern cases of civil resistance are more relevant, from several different countries and cultures and are the most successful ones at present. There is obvious a need to study them more in detail and to make the studies available to a wider audience than the “inner circle” of already convinced people. The movement(s) of people who are critical to elements in the so called globalisation process are growing for the time being. The “Social Forum”-concept are spreading and taking up more and more issues. They have a very clear principle against the use of violence in their struggle but are very vague on how to work (Sen, Anand et al. 2004). Here I see a possible “market” for promoting civil resistance. Many of the organisations taking part in the Social Forums are very skilled on the topics they are working on, but are weak on how to work. There is a tendency to copy former successes or at least not to take the “how to do it” as seriously as the “what to do”. Most of them have some relatively unreflected ideas on traditional political work focusing on being visible in the public space. With more knowledge about the history of civil resistance and nonviolence and more strategic thinking I can imagine a large potential in these movements. At the Social Forums it is easy to identify some of the Gandhian elements of nonviolent struggle. The traditional non-cooperation means are combined with what Gandhi called “constructive work”. In addition to protest against what they disagree with, they focus on their own alternatives. The World Social Forums (WSF) have been held for four years now and the whole thing started as a real alternative to World Economical Forum (WEF) held in Davos every January. After the media wrongly described the protest in Seattle as being mainly stone-throwing masses the initiators of WSF decided to held their next meeting on the same days as WEF, but on the other side of the globe. They replaced “economical” with “social” and managed this way to both avoid confrontations and change focus from the question of money to the social consequences of the neoliberal economic system. WSF is going through very important discussions these days about their purpose, strategy and organising model. Many want to “move from word to action” while others see the main task as being a meeting-place or “melting-pot” for exchange of ideas and inspiration. In that discussion it is a lack of input on means. The important ongoing political and strategically discussions in WSF (and other local and regional social forums) would benefit if a serious element of nonviolent strategies were included. With other words: Here I see both needs and possibilities for a new interest in civil resistance. They are relatively good at mobilising as we saw on February 15 2003, but weak on organising. This relatively new movement are lacking insights into how earlier successful nonviolent movements have worked and organised themselves. The struggle against slavery did not succeed due to large scale mobilisation only. The workers movement would never have been successful if they only had marches on the first of May. The women’s movement managed to work hard between the demonstrations on March the 8. Here I would argue that civil resistance, well organised and prepared, will have a potential great and important impact. Those with expertise and skills have a task to do here. Ackerman, P. and J. DuVall (2000). A force more powerful : a century of nonviolent conflict. New York, St. Martin’s Press. Ackerman, P. and C. Kruegler (1994). Strategic nonviolent conflict : the dynamics of people power in the twentieth century. Westport, Conn., Praeger. Bleiker, R. (1993). Nonviolent struggle and the revolution in East Germany. Cambridge, MA, Albert Einstein Institution. Boserup, A. and A. Mack (1974). War without weapons : non-violence in national defence. London, Francis Pinter (Publishers) Ltd.
Burrowes, R. J. (1996). The strategy of nonviolent defense : a Gandhian approach. Albany, State University of New York Press. Darby, J. and R. Mac Ginty, Eds. (2003). Contemporary peacemaking : conflict, violence, and peace processes. Houndmills, Basingstoke, Hampshire ; New York, Palgrave Macmillan. Dellinger, D. (1971). Revolutionary nonviolence : essays. Garden City, N.Y.,. Ebert, T. (1981). Soziale Verteidigung. Waldkirch, Waldkircher Vlg. Fahey, J. and R. Armstrong (1987). A Peace reader : essential readings on war, justice, non-violence, and world order. New York, Paulist Press. Galtung, J. (1959). Forsvar uten militærvesen. : Et pasifistisk grunnsyn.Utg.av Folkereisning mot krig. Oslo. Galtung, J., Ed. (1975). Peace:Research, Education, Action. Essays in peace research. Copenhagen, Ejlers. Gregg, R. B. and M. M. Temple (1960). The power of nonviolence. Lusaka, N. Rhodesia,, M. M. Temple. Grix, J. (2000). The role of the masses in the collapse of the GDR. Houndmills, Basingstoke, Hampshire, New York, Macmillan Press; St. Martin’s Press. Holmes, R. L. (1990). Nonviolence in theory and practice. Belmont, Calif., Wadsworth Pub. Co.
Holzgrefe, J. L. and R. O. Keohane (2003). Humanitarian intervention : ethical, legal, and political dilemmas. Cambridge ; New York, Cambridge University Press. Martin, B. and W. Varney (2003). Nonviolence speaks : communicating against repression. Cresskill, N.J., Hampton Press. Merton, T. and G. C. Zahn (1980). The nonviolent alternative. New York, N.Y., Farrar Straus & Giroux. Muller, J.-M. (1981). Stratégie de l’action non-violente. Paris, Editions du Seuil. Powers, R. S., W. B. Vogele, et al. (1997). Protest, power, and change : an encyclopedia of nonviolent action from ACT-UP to women’s suffrage. New York, Garland Pub. Randle, M. (1994). Civil resistance. London, Fontana. Randle, M. (2002). Challenge to nonviolence. Bradford, U.K., University of Bradford Dept. of Peace Studies. Rauchhaus, R. W. (2001). Explaining NATO enlargement. London ; Portland, Or., Frank Cass. Riches, W. T. M. (1997). The civil rights movement : struggle and resistance. New York, St. Martin’s Press. Roberts, A. (1965). Modstand – uden vold. [København], Borgen. Roberts, A. (1967). The strategy of civilian defence: non-violent resistance to aggression. London,, Faber. Roberts, A. (1969). Civilian resistance as a national defence: non-violent action against aggression. Harmondsworth,, Penguin. Roberts, A. (1972). Totalförsvar och civilmotstånd. Stockholm, Centralförb. Folk och försvar. Roberts, A. (1976). Nations in arms : the theory and practice of territorial defence. London, Chatto and Windus for the International Institute for Strategic Studies. Roberts, A. and B. Gripstad (1976). Civilmotståndets teknik. Stockholm, Centralförb. Folk och försvar : Rabén & Sjögren (distr.). Sâemelin, J. (1993). Unarmed against Hitler : civilian resistance in Europe, 1939-1943. Westport, Conn., Praeger. Sen, J., A. Anand, et al., Eds. (2004). Challening Empires. Delhi, The Viveka Foundation. Sharp, G. (1973). The politics of nonviolent action: The Dynamics of Nonviolent Action. Boston,, P. Sargent Publisher. Sharp, G. (1985). Making Europe unconquerable : the potential of civilian-based deterrence and defence. Cambridge, Mass., Ballinger Pub. Co.
Sharp, G. (1985). National security through civilian-based defense. Omaha, Neb., Association for Transarmament Studies. Sharp, G. and B. Jenkins (1990). Civilian-based defense : a post-military weapons system. Princeton, N.J., Princeton University Press. Sharp, G. and B. Jenkins (1992). Self-reliant defense without bankruptcy or war : considerations for the Baltics, East Central Europe, and members of the Commonwealth of Independent States. Cambridge, MA, Albert Einstein Institution. Woodhouse, T. (1991). Peacemaking in a troubled world. New York, Berg : Distributed exclusively in the US and Canada by St. Martin’s Press. Woodhouse, T. and O. Ramsbotham (2000). Peacekeeping and conflict resolution. London ; Portland, OR, F. Cass. Zinn, H. (2002). The power of nonviolence : writings by advocates of peace. Boston, Mass., Beacon Press.